There was a time that media and journalism seemed objective and factual. 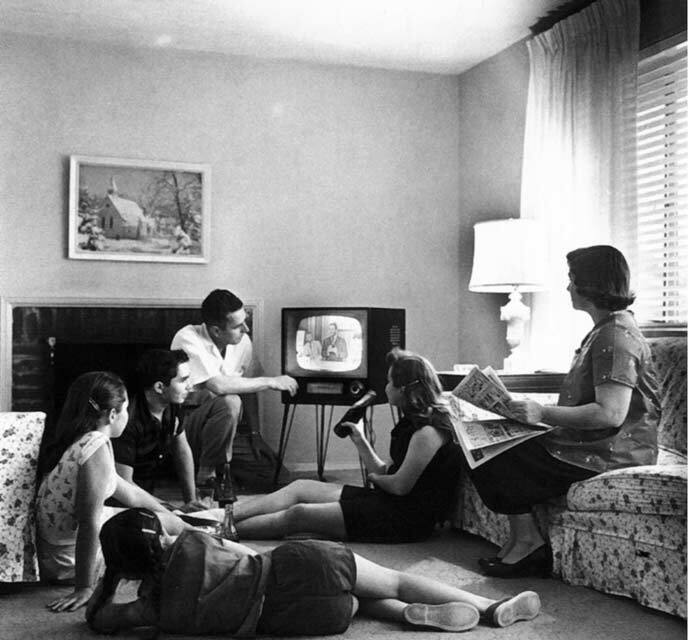 The 1950s brought a time of media growth when television became more readily accessible. TV was in black and white. There was three channel reception in the Boston area: 4, 5 and 7. Typical TV episodes consisted of Howdy Doody, Leave it to Beaver, Father Knows Best, I Love Lucy and Lassie. In light of today’s fast media, that was a time of innocence. Ads were fairly benign, tugging mostly at the consumer’s purse strings but in mild ways. Soap operas actually began as daytime shows for ways to market and sell soap. 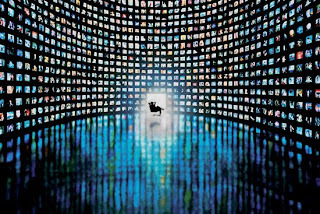 A review of the history of media from the 1950s to our current interactive world of social media with multiple channels necessitates a need for keen discernment and critical thinking. The channel lineup today has hundreds of channels to choose from, available 24/7. In a world of rapid change, new media not only reports the news, but also creates it. Social networking, also known as the Read/Write web, has grown the web exponentially, with sites such as Wikipedia, Facebook, Twitter, and Flickr. The principal argument of this essay and the key take-away from this course is that it is vital for each individual to be his or her own gatekeeper, assessing and evaluating media for bias and truth. Being one’s own gatekeeper requires keen critical thinking. Professor Brad Dowden from University of California, Sacramento, defines, “Critical thinking is the ability to engage in reasoned discourse with intellectual standards such as clarity, accuracy, precision, and logic, and to use analytic skills with a fundamental value orientation that emphasizes intellectual humility, intellectual integrity, and fair-mindedness” (Dowden, 2002). Today’s NPR program, On the Media, featured a 7-minute segment with Clay Shirky. It’s Raining Men highlighted the gender imbalance between men and women as commentators and contributors to the media. The focus was a “Rant about Women” that Shirky posted on his BLOG this past January, to highlight the success differential between the genders graduating from the Interactive Telecommunications Program at NYU. Shirky stated that men have an easy time aggrandizing their achievements; women, on the other hand, do not. Women often focus on what others think, seeking approval rather than success. Shirky wrote, “Women… are bad at behaving like self-promoting narcissists, anti-social obsessives, or pompous blowhards, even a little bit, even temporarily, even when it would be in their best interests to do so. Whatever bad things you can say about those behaviors, you can’t say they are underrepresented among people who have changed the world” (Shirky, 2010). Reflecting on this conversation brings cause to think more critically. Fairness & Accuracy in Reporting (FAIR), a watchdog group that criticizes media bias, reports about the study on gender imbalance. FAIR author, Peter Hart writes, “The upshot is that NPR says it's trying hard to make improvements in this area, and they'll try even harder. But given the fact that 11 of the top 12 commentators on NPR are men, and that the only woman is Cokie Roberts, it looks like they're not trying hard enough (Hart, 2010, para. 7).” It seems in addressing this report in On the Media is an attempt to try harder. Finding the original source expanded and gave more detailed data. On NPR’s BLOG, Alicia Shepard states, “the goal is to identify and audition new, diverse voices and widen perspectives in stories. Klinger is focusing on new sources in politics, arts and national security….The question [Klinger] is asking right now: Who's missing from our coverage of these topics as experts, analysts, commentator or sources of stories?" Shepard goes on to quote, "Unconscious bias flows through our lives in many different ways, and it is not an easy task to disentangle all strands," said Shankar Vedantam, author of The Hidden Brain, a book about unconscious bias (Shepard, 2010). Additional research found information about the registration of the FAIR website through www.easywhois.com, the founder of FAIR, Jeff Cohen, the organization in relationship to other watchdog organizations such as Accuracy in Media (AIM), and then again, many commentaries about each of these. This long journey makes clear the biases in the media and in the researcher. In the end, it is up to each individual to weigh and assess the validity of the information. What is fair-minded and intellectually valid? That women have a hard time aggrandizing their achievements and entering the ring, as discussed by Clay Shirky, proved accurate, but only after a thorough investigation looking at reports and commentaries. There was a time that it was easy to believe something because it was on the news, or came from an “expert” – parents, professors, or clergy. In these media saturated channels, it becomes imperative to engage in critical thinking and view things from a discerning perspective. The example above illustrates a critical thinking process. Each individual must become his or her own gatekeeper. One must apply critical thinking to one’s experience in the use of media. 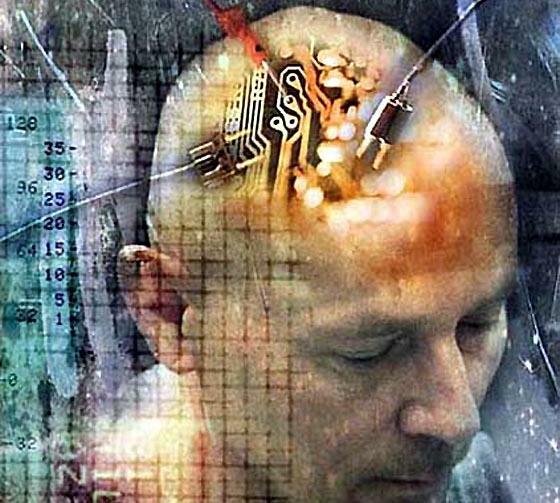 Richard Paul, founder of The Critical Thinking Community, poses the question, “What kind of thinker are you?” He states, “You are what you think. Whatever you are doing, whatever you feel, whatever you want—all are determined by the quality of your thinking” (Paul, n.d.). There is a compelling scene in a David Bowie film, The Man Who Fell to Earth. It is a science fiction story, released in 1976, chronicling the journey of an alien who falls to earth with a mission to ship water to his home planet suffering from draught. Newton, the alien character, at one point in the film, fixates on a high tech room filled with many TV monitors. 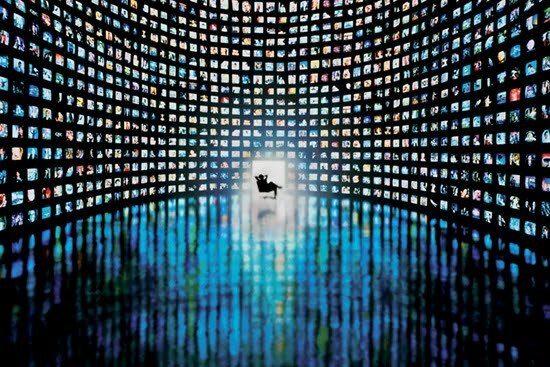 He simultaneously watches all the channels of media, each playing a different show. It is as if he is trying to grasp and understand this world through the media. The past several weeks exploring urban legends, bias on the web, marketing and the psychology of the consumer, and social media, social networking has sometimes felt much like that. I have explored this question of my own thinking during this course. Learning, internalizing and applying critical thinking principles has opened a new perspective. According to XPLANE, The visual thinking company, we have access to 1,000,000,000,000 webpages, 65,000 iPhone apps, 10,500 radio stations, 5,500 magazines, and 200+ cable tv stations (see video below). Continued awareness and discernment, realizing the biases present in this sheer volume of media as well as my own biases, will help to inform ongoing research and scholarly development during this Media Psychology program. As with any skill, practice will help mature and develop the ability to think and analyze critically. This is a beginning, one that promises to be both challenging and fulfilling. The definition that I wrote of critical thinking at the beginning of this class hold true for me as I continue to learn how to apply these principals. Vedantam, S. (2010). The hidden brain: How our unconscious minds elect presidents, control markets, wage wars, and save our lives. New York, NY: Spiegel & Grau, Random House Publishing Group.